Since its discovery in 1940 the cave of Lascaux in the Dordogne, decorated 20,000 years ago by hunter-gatherers of the Palaeolithic period, is a symbol of human creative genius. The decorated ceiling of the Axial Gallery. 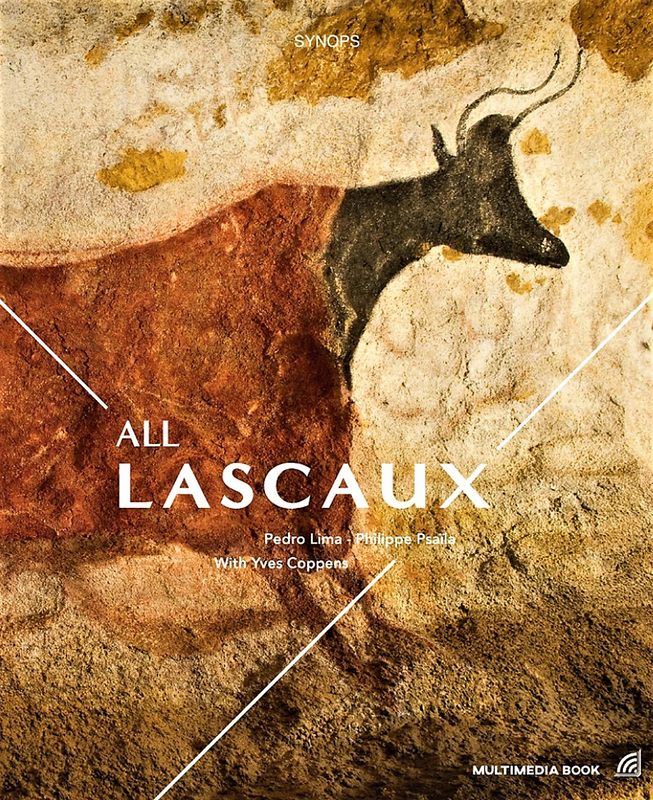 This prestigious work, richly illustrated with photographs from the complete replica of the cave, shares all the artistic wonders of Lascaux, the knowledge accumulated by generations of researchers and their principle hypotheses for interpreting the hidden meanings of the paintings. It also reveals the secrets of the successive reproductions of the cave. Preface by Muriel Mauriac, curator of the Lascaux cave. 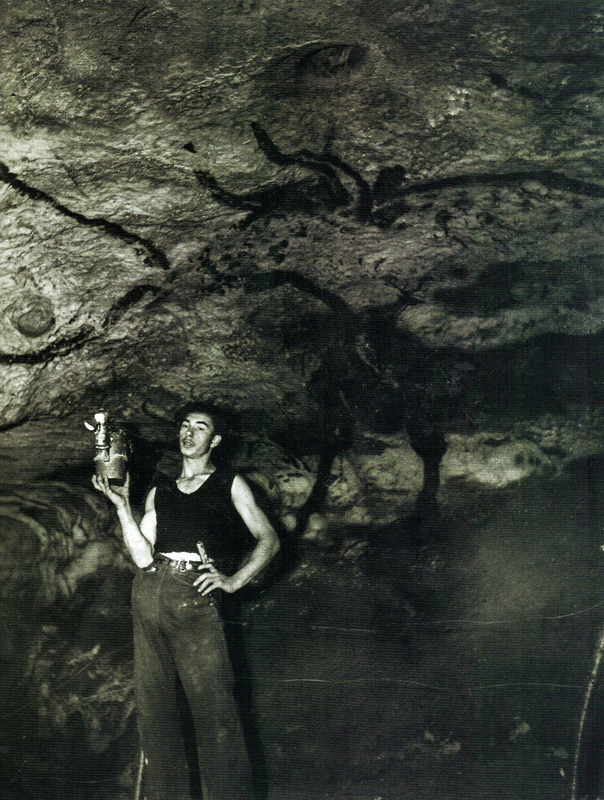 The co-discoverer of Lascaux, Marcel Ravidat, now a guide to the cave, in front of the great aurochs in the Hall of the Bulls holding the lamp he used for visits. The book opens with a foreword by Yves Coppens, palaeontologist and co-discoverer of Lucy, retracing the origins of both humankind and art, and is prolonged by multimedia content via a free app and 360 degree immersion in Lascaux IV. Product dimensions: 27.4 x 22.4 x 1.8 cms. Pedro Lima has been a professional Scientific Journalist since 1993, as a free-lancer, covering fields such as prehistory, paleoanthropology and parietal art. He has collaborated with many French and international magazines and has visited, for journalistic reports, many European and American rock art sites, such as the Chauvet Cave, Foz Côa (Portugal), Lascaux and Niaux (France), Cueva de las Manos (Argentina). He has published an article about fungus attacks in Lascaux, in 2012 in INORA : "Back to Balance", INORA Newsletter No. 62 - 2012. Philippe Psaïla is a photographer and videographer specializing in reports and documentaries on research, science and discovery. I enjoyed this; as the title suggests it covers all things 'Lascaux'. Despite having followed the work of researchers at Lascaux for some years, I was pleased to read and see new material. The presentation and artwork is sharp and professional, and the layout is clear and logical. Always a good thing to open with an archaeological and anthropological context, the reader is then taken to the discovery and the closing of the cave. Once inside the cave, one is led through each major section; the Hall of the Bulls, the Axial Gallery, the Passageway and the Apse, the Nave and finally the Shaft Scene. More as a consolidation of the journey's tale rather than an add-on, the publication takes the art of Lascaux - its interpretations, popularity, peril and salvation - to the facsimiles. Lascaux II, III and IV were created for the right reasons by a dedicated team. Having looked down the steps to the entrance of Lascaux, now sealed off by an impregnable door, I felt an overwhelming desire to experience these great paintings. Lascaux II enabled me to do so and I now look forward to Lascaux IV.